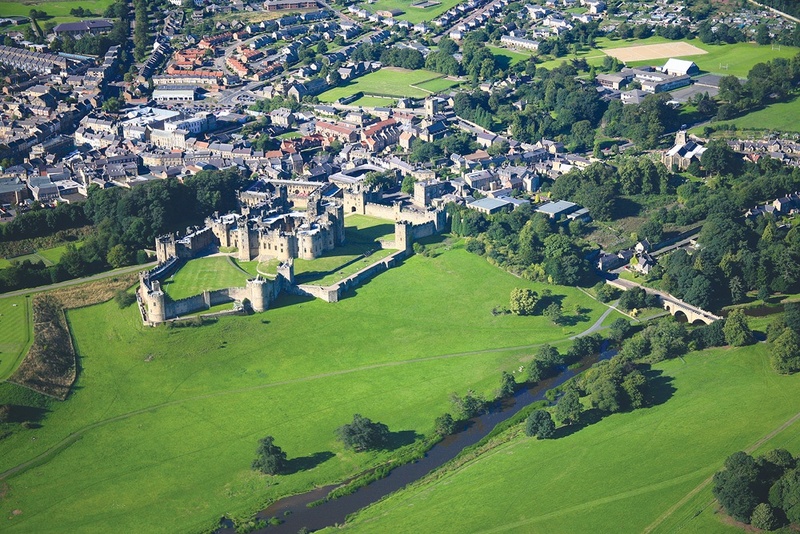 Alnwick is in the heart of Northumberland. 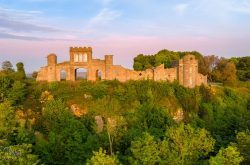 Its long sandy beaches, its quiet friendly villages, the Simonside and Cheviot hills, its well preserved medieval Castles, and its gardens (the Alnwick Garden should come top of your list!) make it an ideal centre for your holiday in Northumberland. 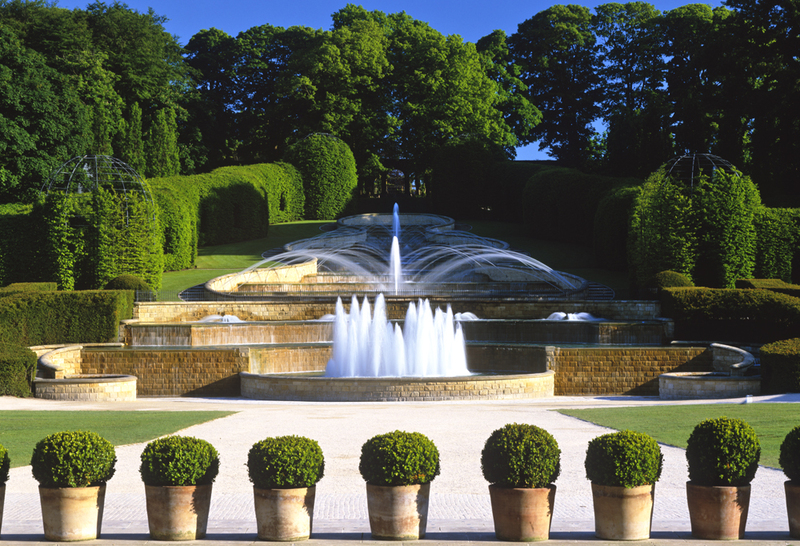 There are numerous Stately Homes in the area including the fantastic Alnwick Castle – oft referred to as “The Windsor of the north”, and home of the Duke of Northumberland. 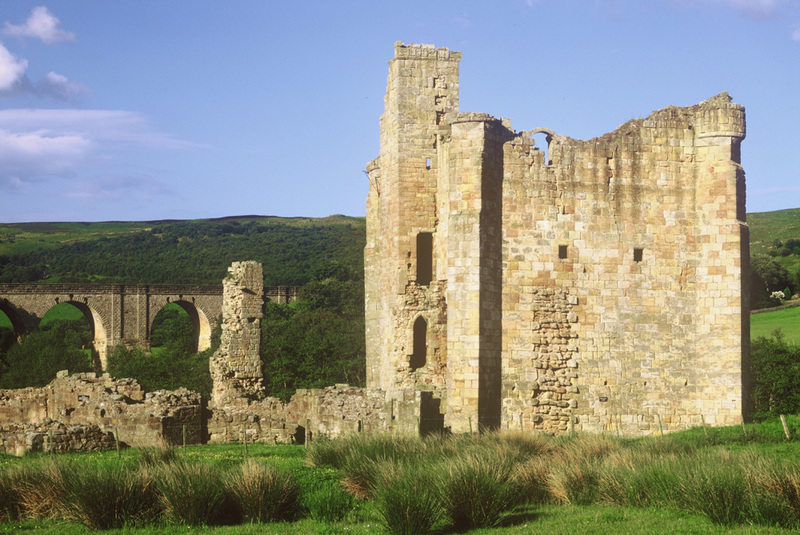 This medieval market town originally prospered as an ideal staging post, being only a day’s ride from Berwick-upon-Tweed in the north and Newcastle upon Tyne in the south. 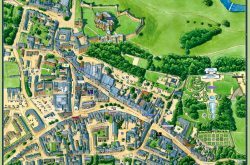 It still retains many of its cobbled streets, narrow alleys and fine stone buildings which now house a range of specialist shops and family businesses as well as some of what once totalled over 50 inns. 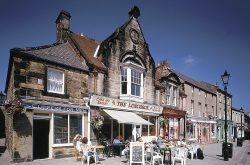 Visitors can still enjoy the atmosphere of a thriving medieval market town in Alnwick’s lovely Market Place, also the centre for local events including Alnwick’s St. Michaels – parish church, AlnwickInternational Music Festival, local and continental markets and the Farmers Market is held on the last Friday of each month. 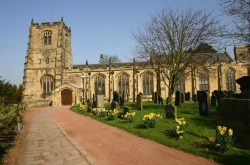 St. Michael’s Church (left) situated near the Castle on Bailiffgate is the Anglican parish church for Alnwick. 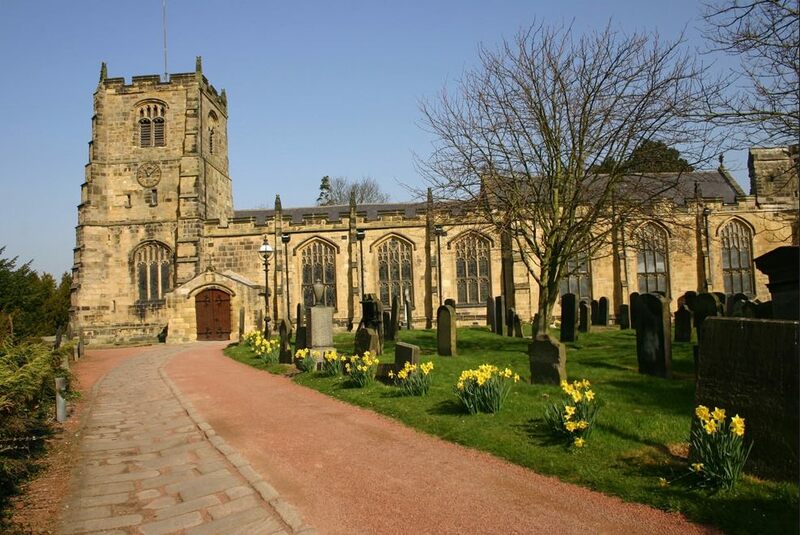 The church was first built in Saxon times and later rebuilt in the 14th and 15th centuries. 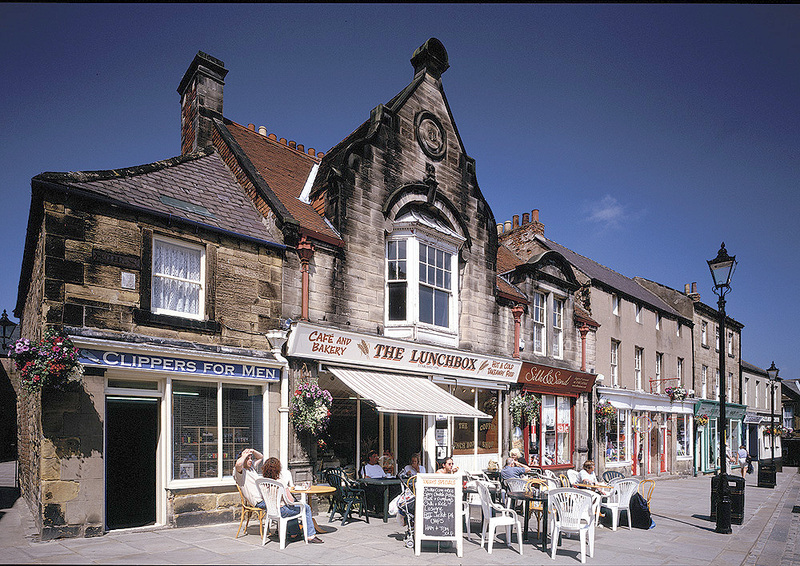 Northumberland Hall in the Alnwick Market Place is the venue for craft fairs, coffee mornings and various shows, other town attractions include the Playhouse Theatre, Bondgate Gallery, Embroidery Visitor Centre, and the new Willowburn Leisure Centre with its children’s pool, health suite and gym. 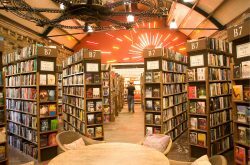 Barter Books is one of the largest second hand book shops in England, with over 350,000 books to choose from in an atmosphere of cosy peace & tranquility. Not to be missed are the fantastic murals above your head as you go in and whilst browsing do use the ‘Station Buffet’ recently opened on the old railway platform. 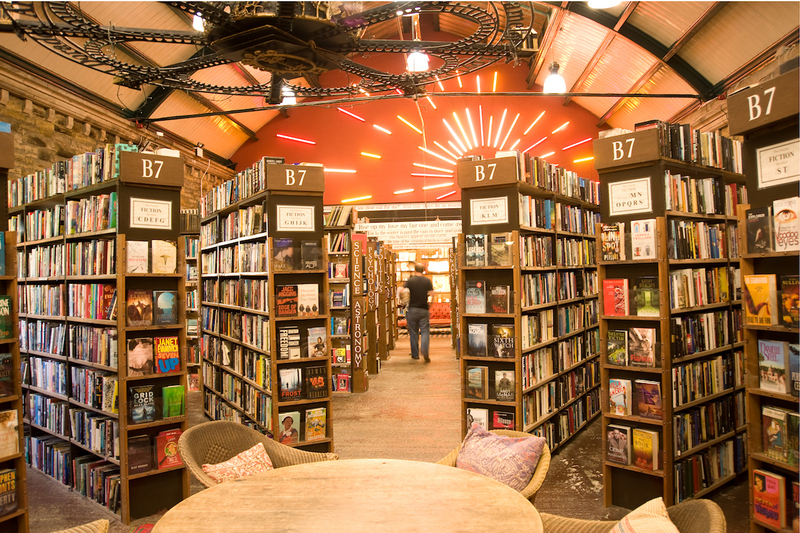 Barter Books is also now known as the home of the famous “Keep Calm And Carry On” poster – see the story on Youtube video. Bailiffgate Museum & Gallery, Bailiffgate is the ideal first-stop for anyone visiting the Alnwick area. 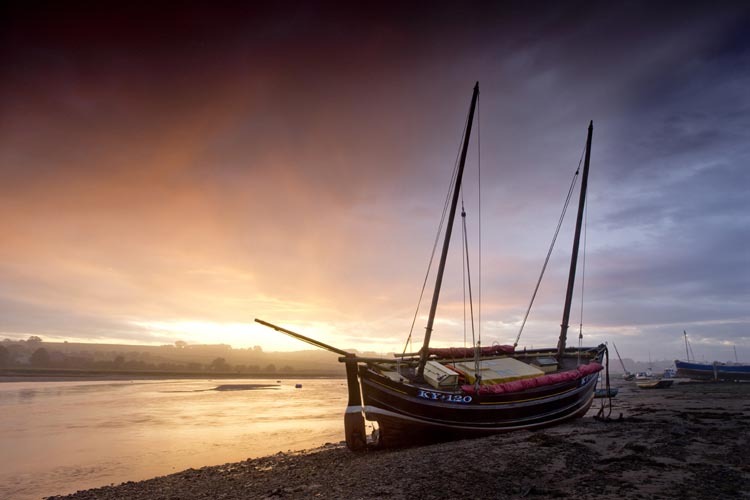 Discover the rich history and culture of this special region and there are regular events for all the family. 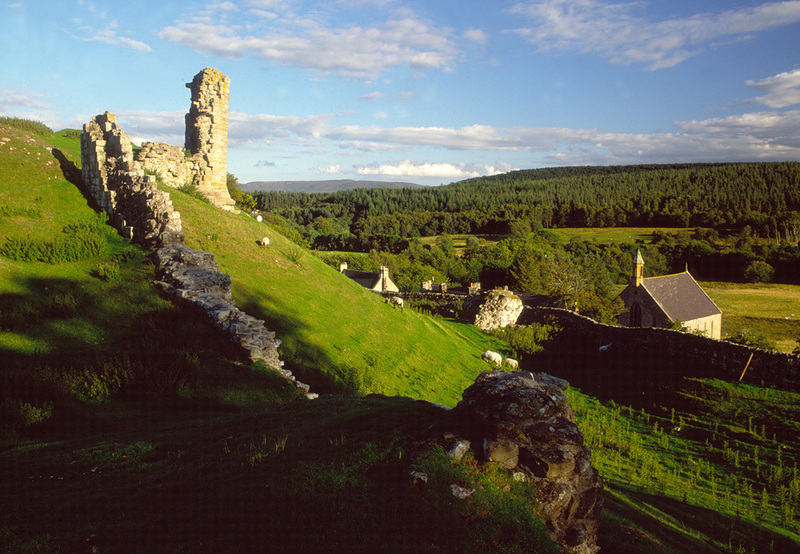 A trip to Bailiffgate is guaranteed to spark your imagination and get you and your family excited about exploring Northumberland. 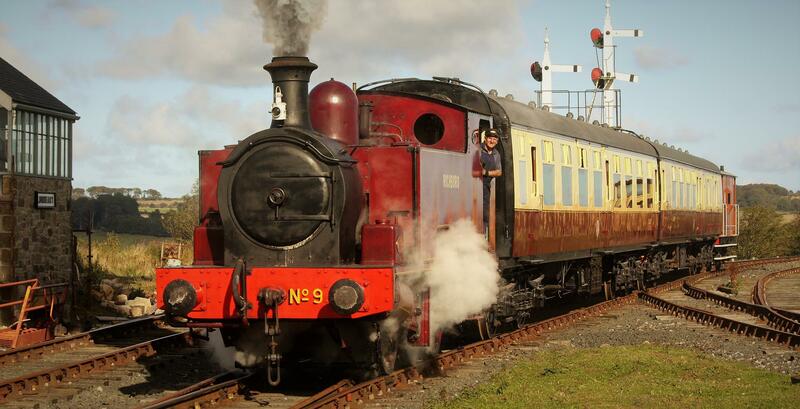 Aln Valley Railway, at the Lionheart Station next to the A1, has an exhibition centre, shop and cafe. 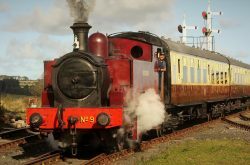 Visitors can enjoy train rides to Alnmouth on the coast, replacing a service first opened in 1850 and lost in the 1960’s. There are also many events taking place here throughout the year. 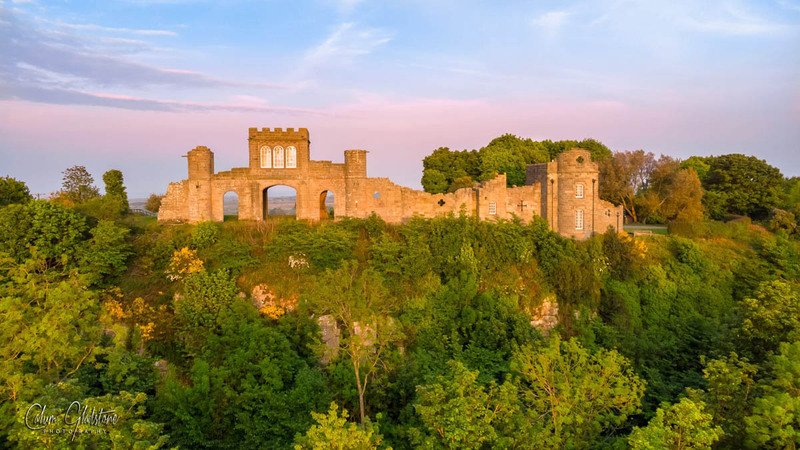 On the outskirts of Alnwick you can explore Ratcheugh Observatory, a very striking 18th-century folly with a number of towers, including a viewing tower with an impressive 360° panorama of Alnwick and its castle and of the Northumberland coast as far as Boulmer. 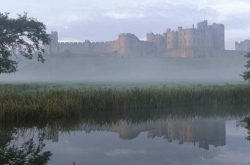 Home of the Percy family for nearly 700 years and c onsidered one of the finest castles in England, Alnwick Castle, the home of the Duke of Northumberland, provides a wonderful day out for all the family. 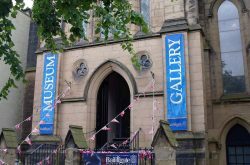 It has magnificent spacious grounds designed by Capability Brown, domineering medieval towers, a 14th century dungeon, beautiful State Rooms with Italian renaisance design, paintings by Canaletto, Van Dyck and Titian and there are various museums covering the region’s military and archaeological history. 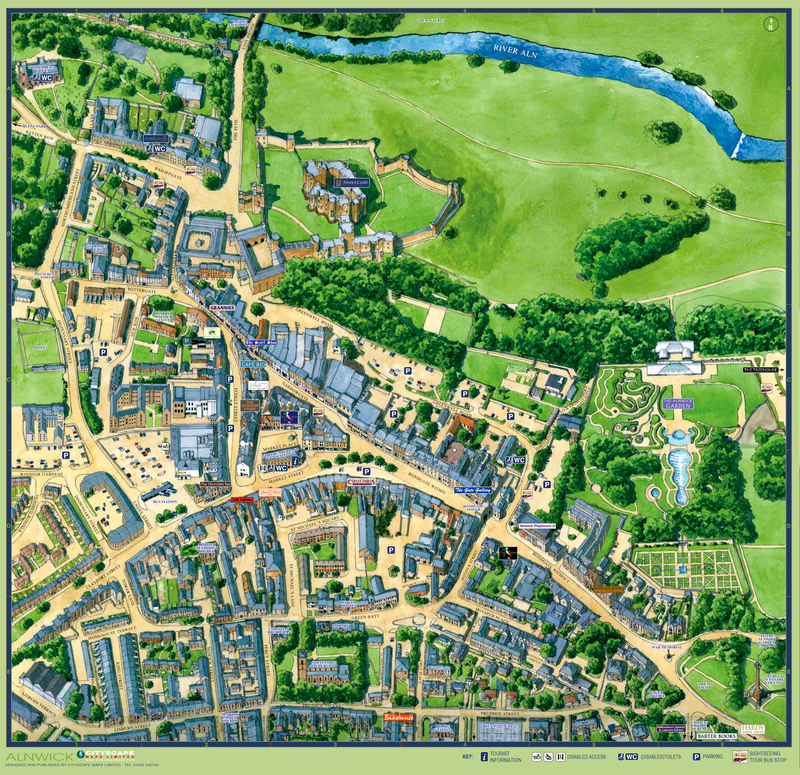 See website for opening times. 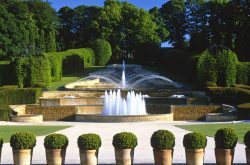 Next to the Castle is the spectacular Alnwick Garden The Grand Cascade at Alnwick Gardenwhere you can experience The Grand Cascade with its many weirs and fountains, The Ornamental Garden with more than 15,000 plants, The Rose Garden of walkways heavily scented with climbing and shrub roses, clematis and honeysuckle, and there are many ‘secret’ gardens where you can sit amongst the pergolas, fruit trees and individual pools. 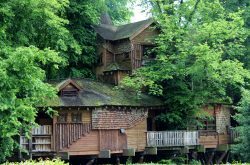 Because it is a continually developing garden with major projects underway, it provides something new for repeated visits. 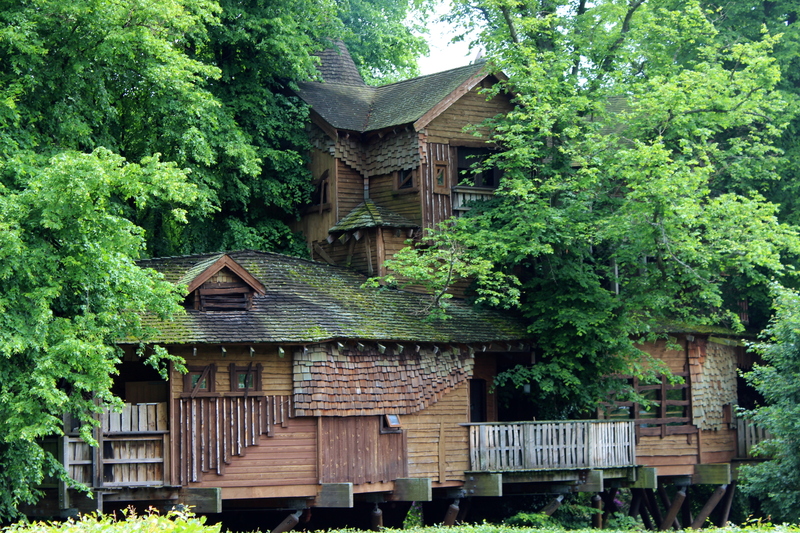 The Tree House completed in 2005, in a grove of Lime Trees, is yet another spectacular attraction to add enjoyment to your visit! The Alnwick countryside is also a great area for walking, short and long hikes, cycling, fishing, and in fact every kind of country pursuit. 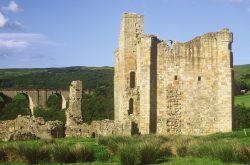 Edlingham Castle, on the road from Alnwick to Rothbury, is now a picturesque ruin once offering protection against the marauding Border Rievers. 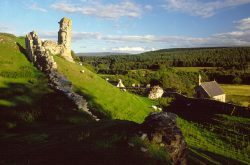 South east lies the valleys and heather topped expanses of Coquetdale and the Simonside Hills around Rothbury – a haven for hillwalkers and cyclists and a gateway to the Northumberland National Park. 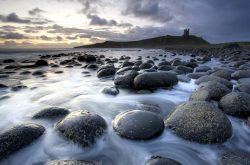 The coastline of the Alnwick region consists of over 20 spectacular miles of golden sands, rocky outcrops and sand dunes which provide fun days out for all the family and peaceful beach strolls along the sweeping sands of Druridge Bay and Cresswell. Coastal villages include the lively harbour town of Amble, beautiful Warkworth, with its magnificent castle, picturesque Alnmouth, home of one of the oldest golf courses in Britain, the hidden coves at Boulmer and you can enjoy internationally famous smoked kippers and salmon at the fishing village of Craster after walking to the haunting Dunstanburgh Castle.